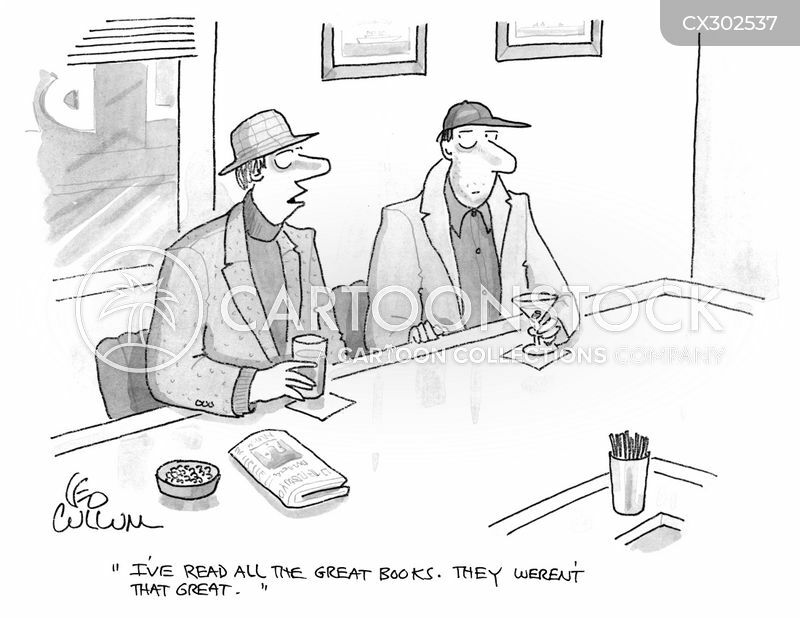 "I've read all the great books. They weren't that great." 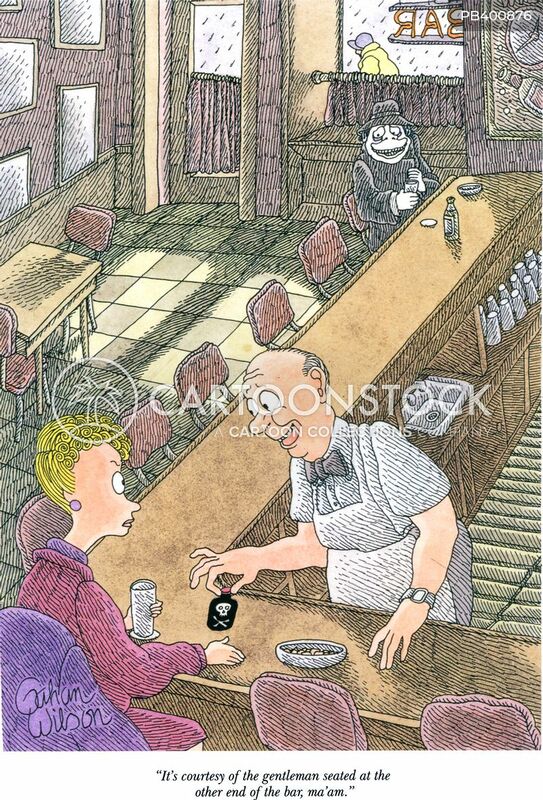 "It's courtesy of the gentleman seated at the other end of the bar, ma'am." "Wait. 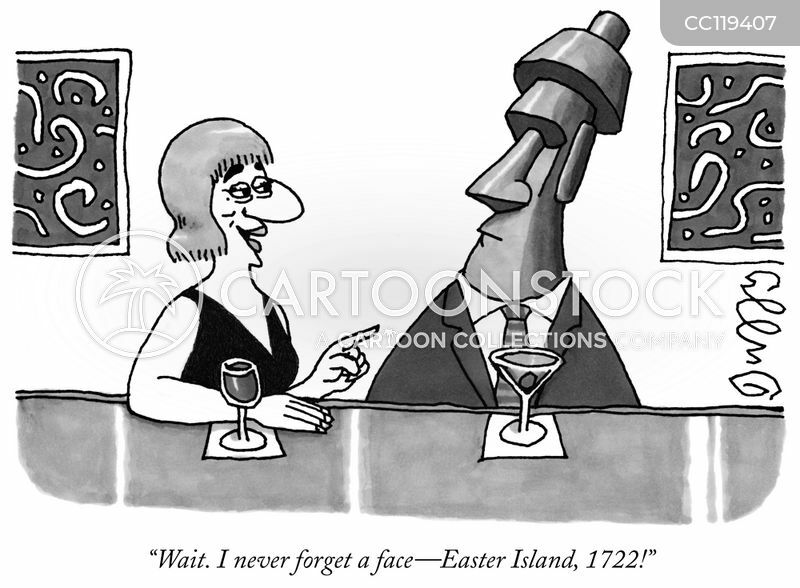 I never forget a face-Easter Island, 1722!" 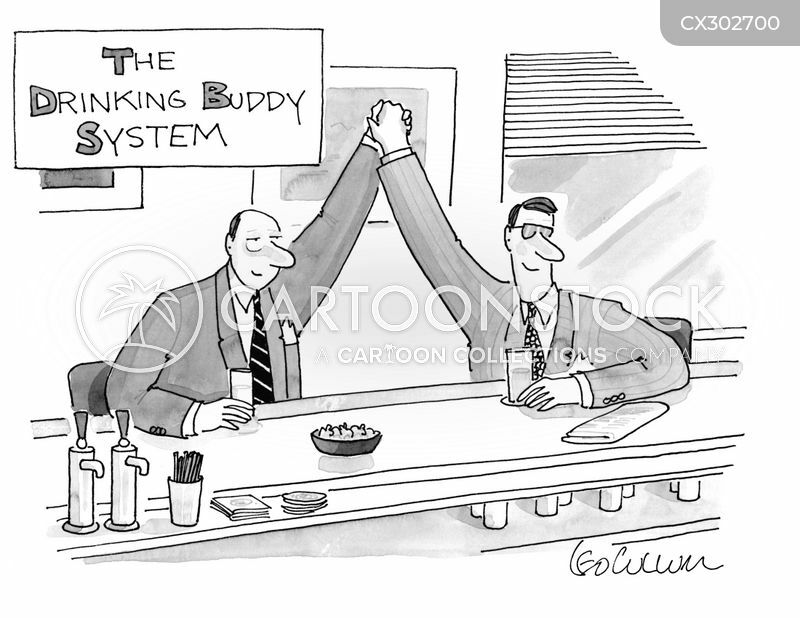 "I pour the liquor. Al does the mixers. 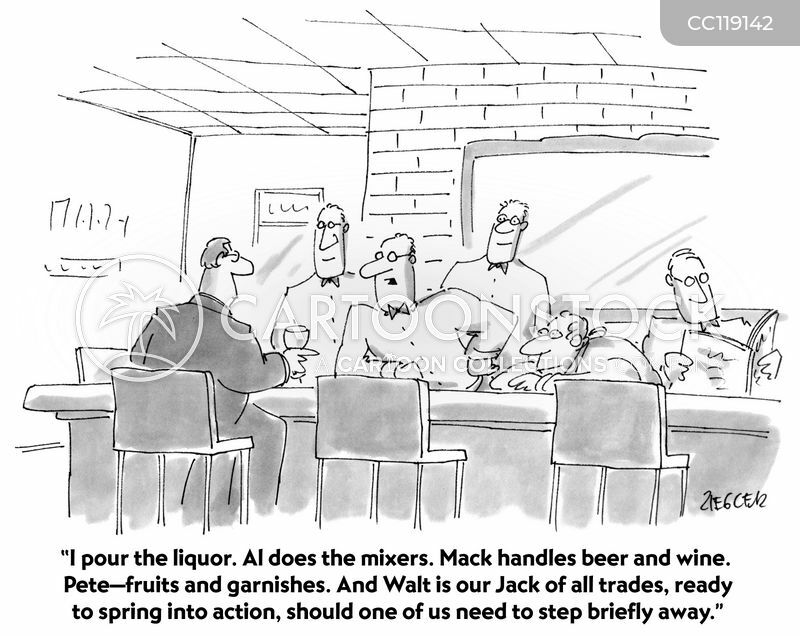 Mack handles beer and wine. 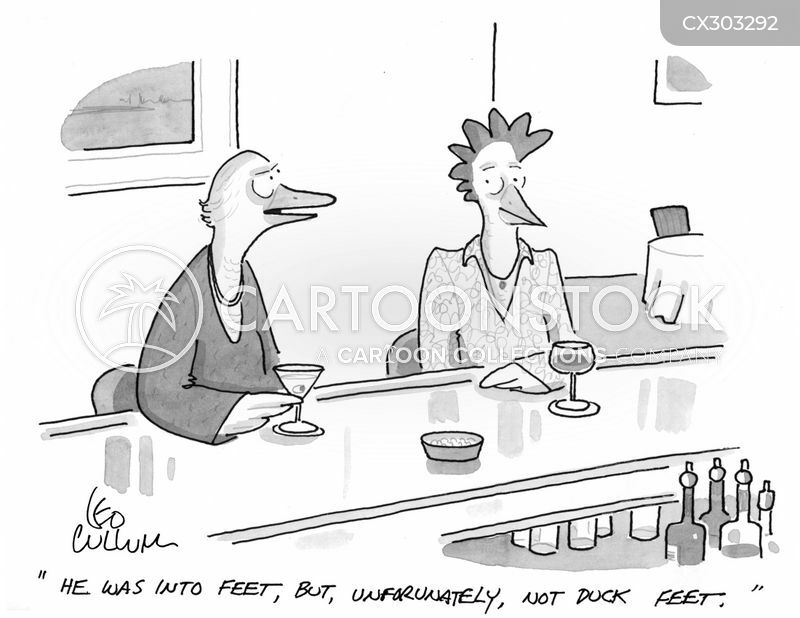 Pete—fruits and garnishes. 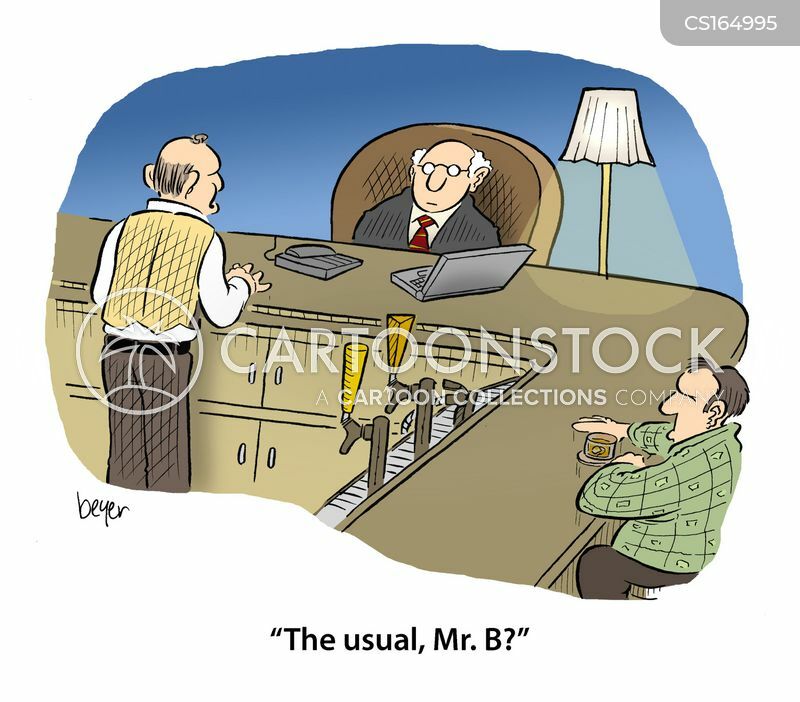 And Walt is our Jack of all trades, ready to spring into action, should one of us need to step briefly away." 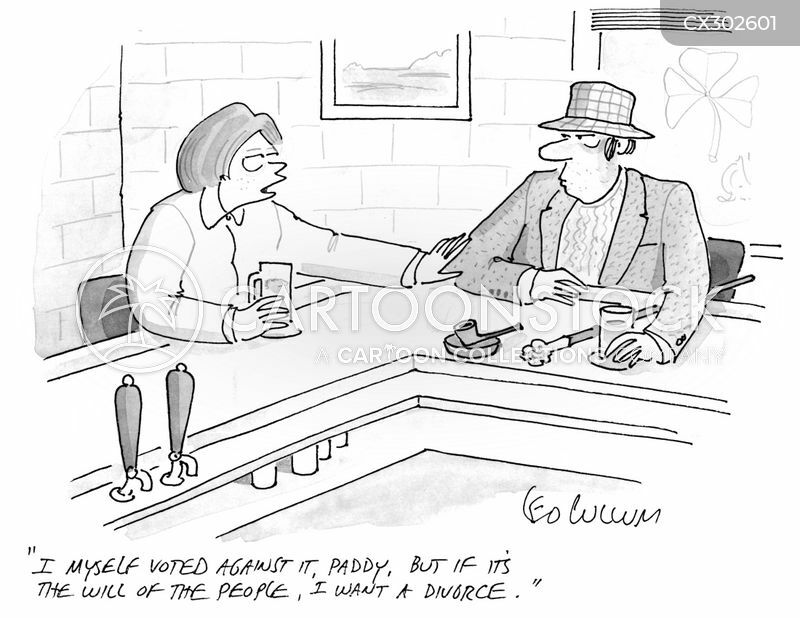 "I myself voted against it, Paddy, but if it's the will of the people, I want a divorce." 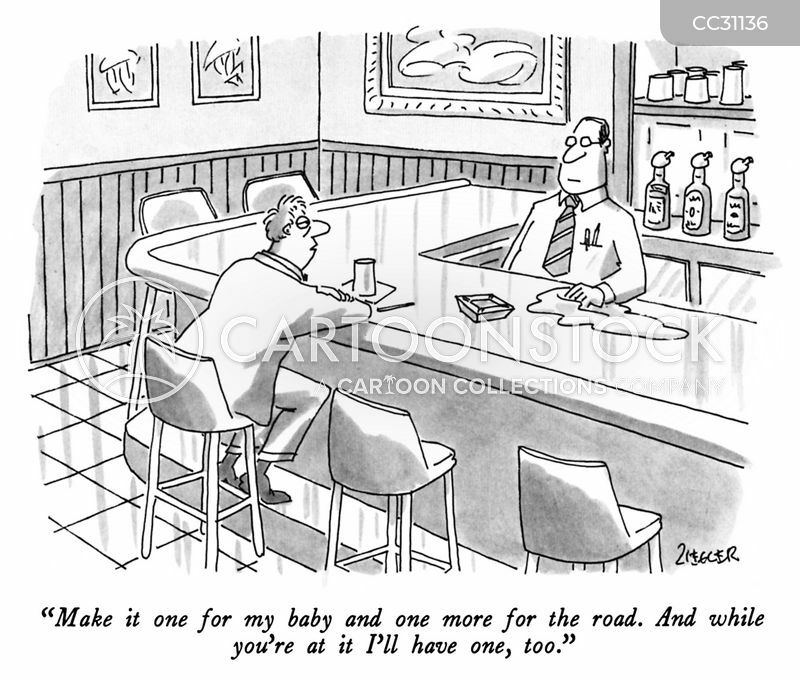 "Make it one for my baby and one more for the road. 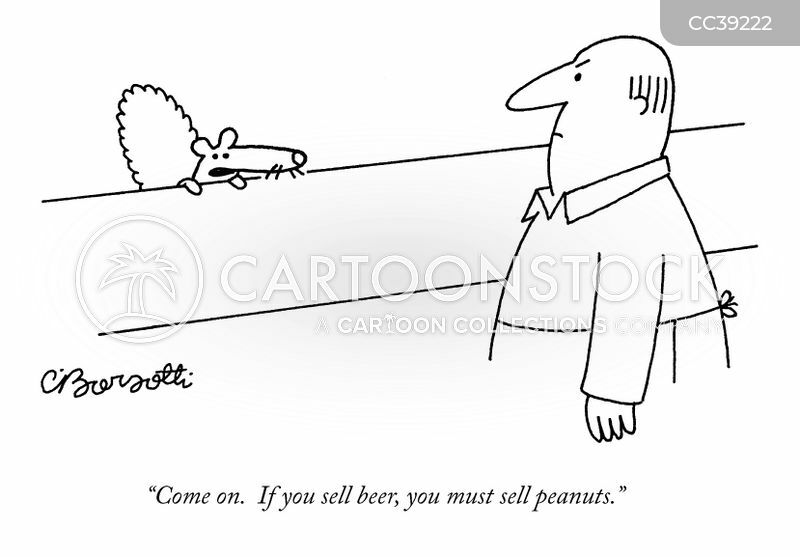 And while you're at it I'll have one, too." 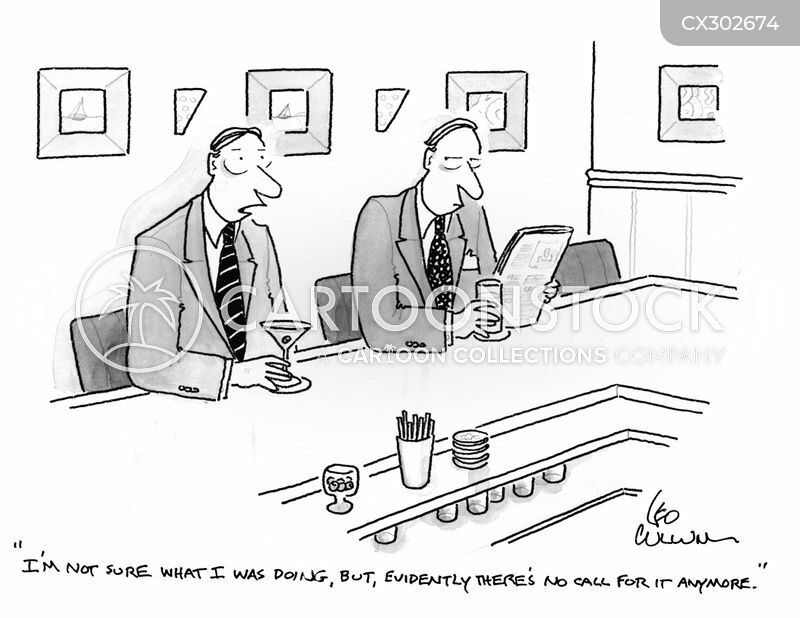 "I'm not sure what I was doing, but, evidently there's no call for it anymore." 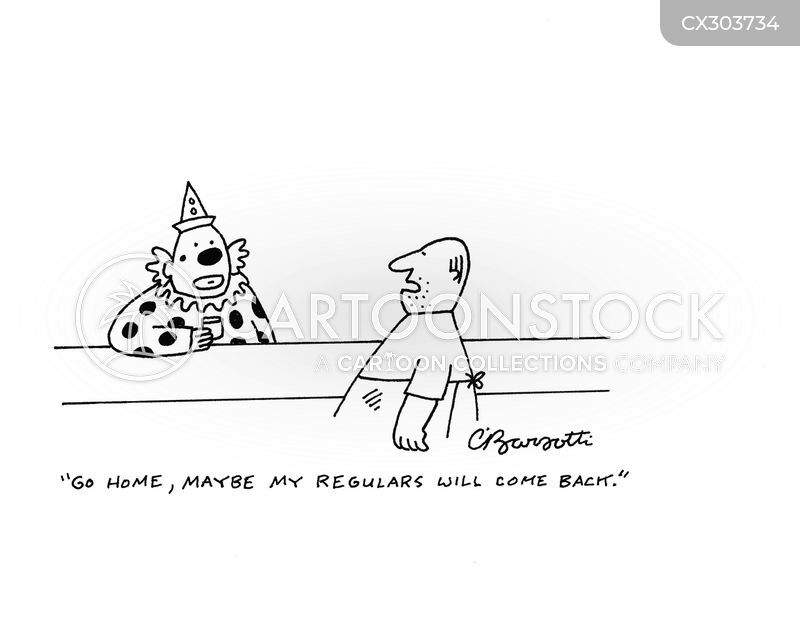 "Go home, maybe my regulars will come back." 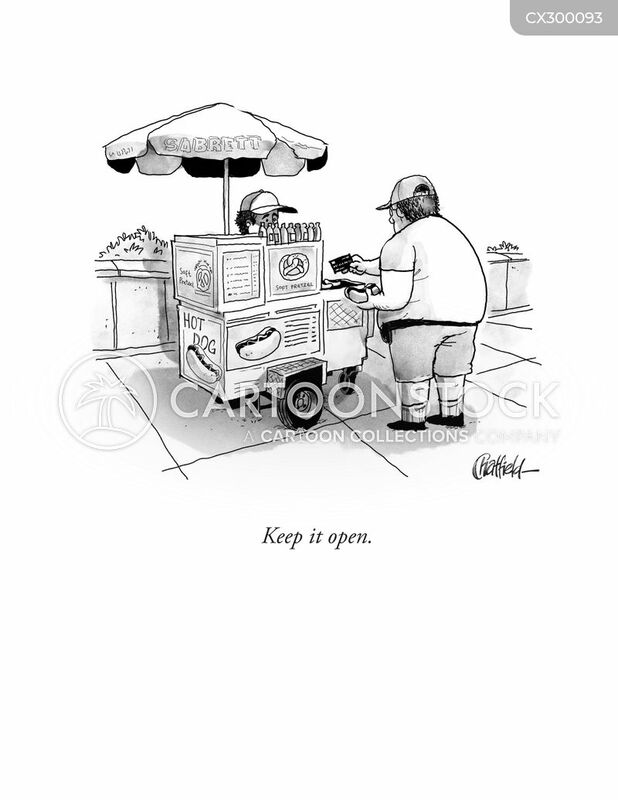 "Put that out! It's over. 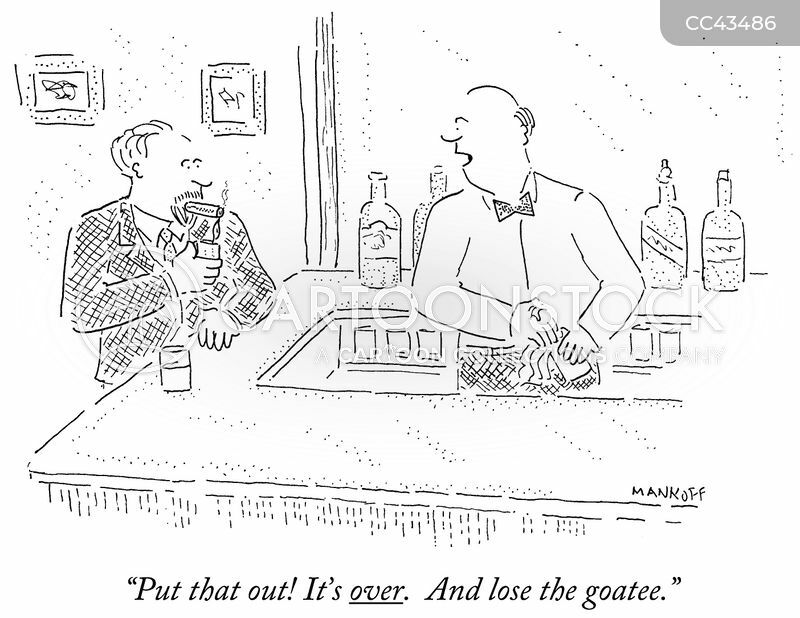 And lose the goatee." 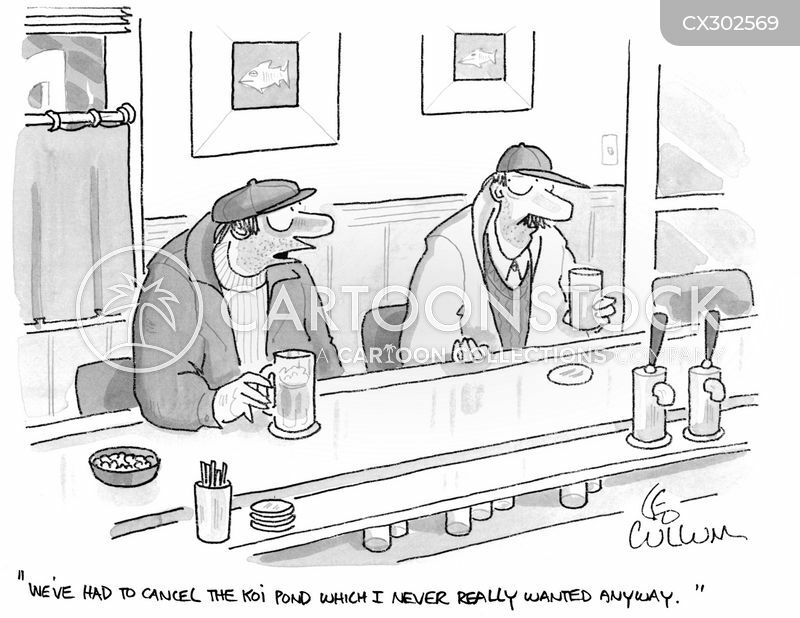 "We've had to cancel the koi pond which I never really wanted anyway." 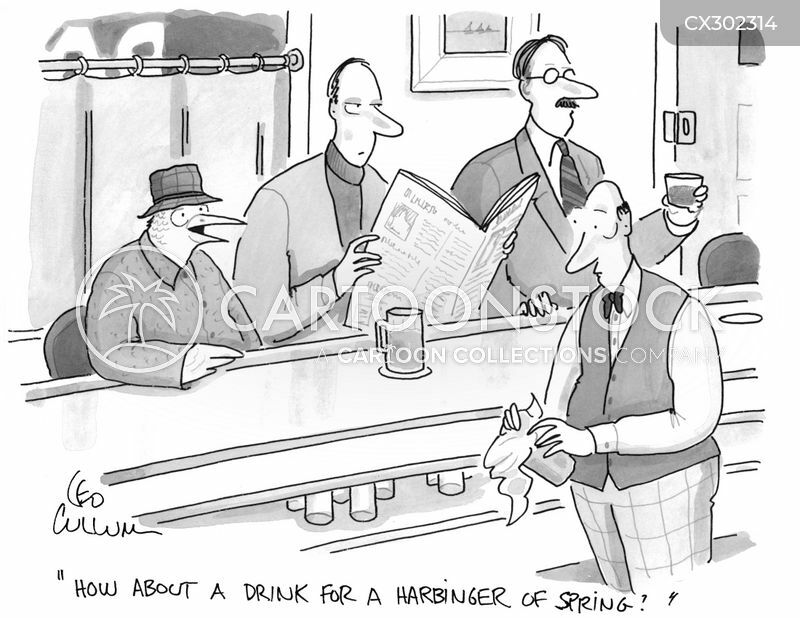 "How about a drink for a harbinger of spring?" 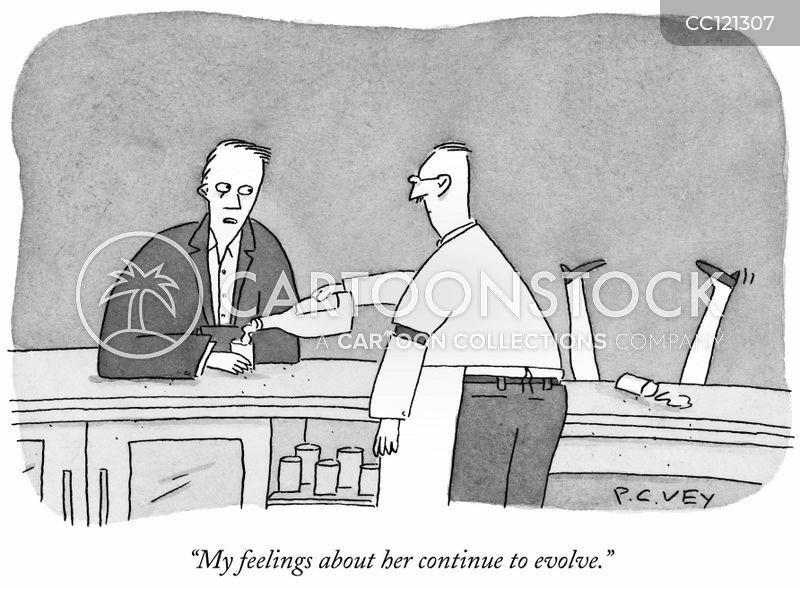 "My feelings about her continue to evolve." 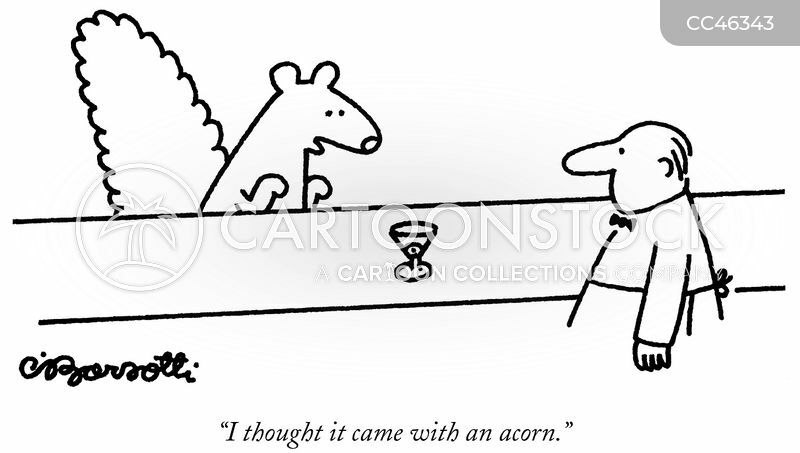 "It's not you, Larry. 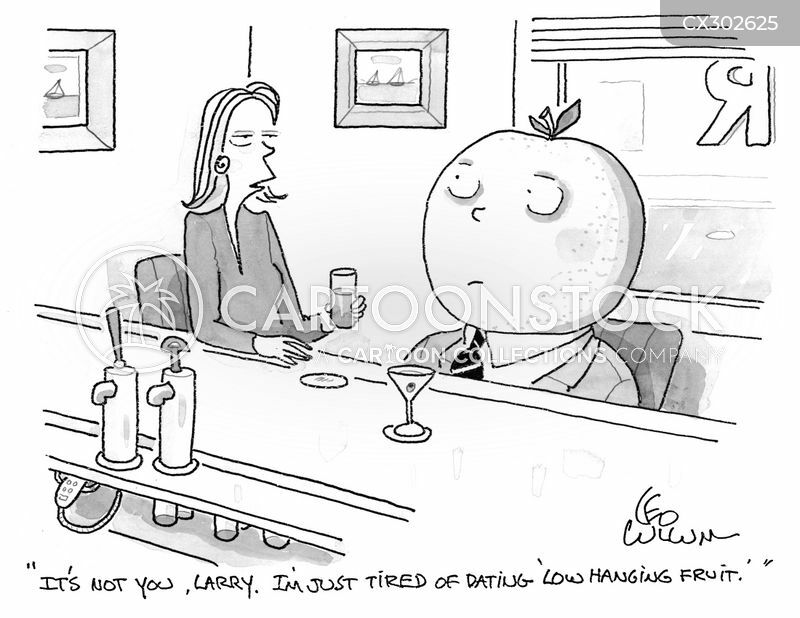 I'm just tired of dating 'low hanging fruit'. " 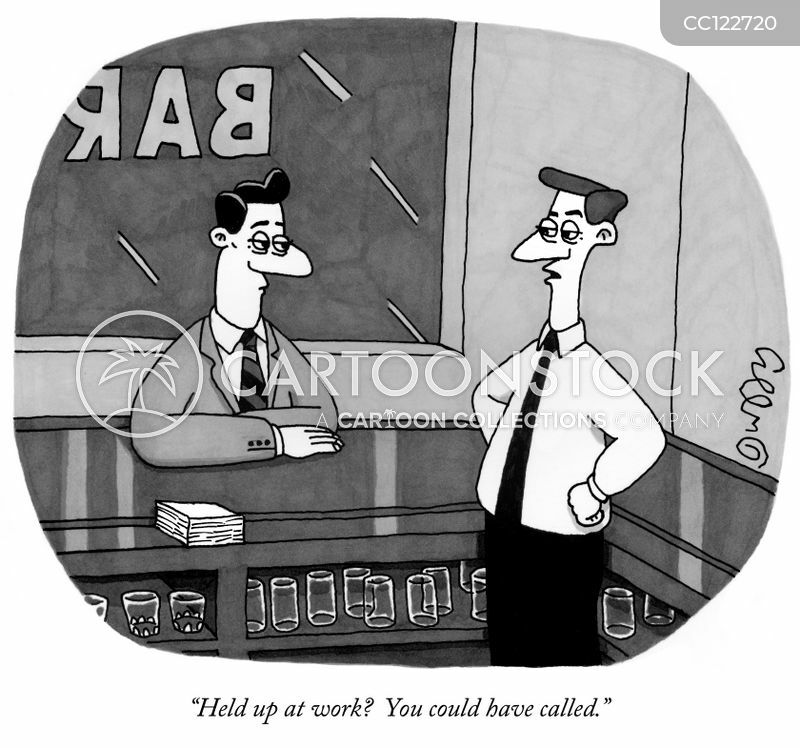 "Held up at work? You could have called." 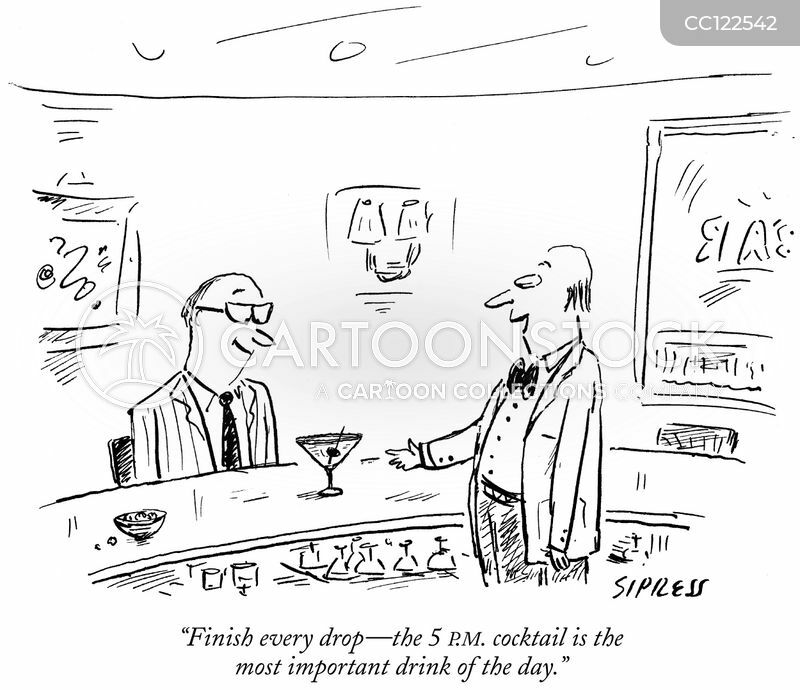 "Finish every drop - the 5 P.M. cocktail is the most important drink of the day." 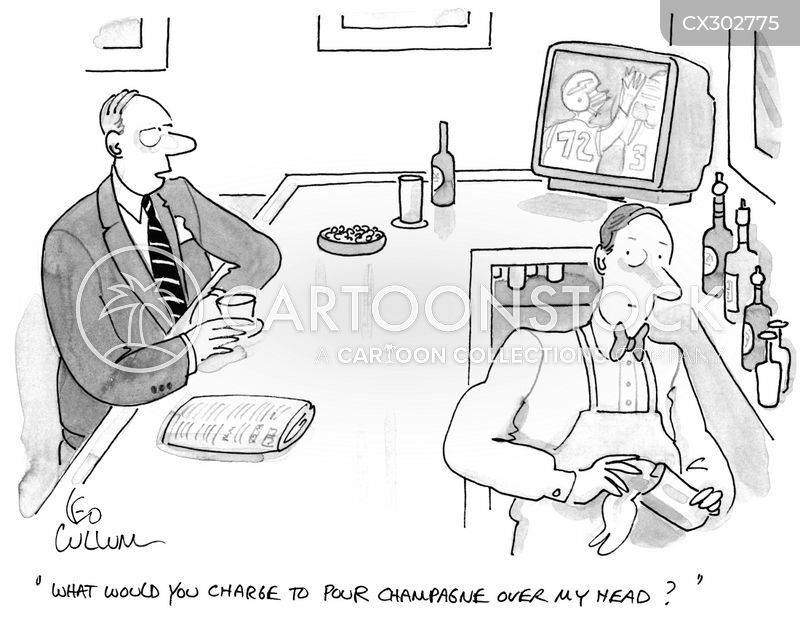 "What would you charge to poor champagne over my head?" 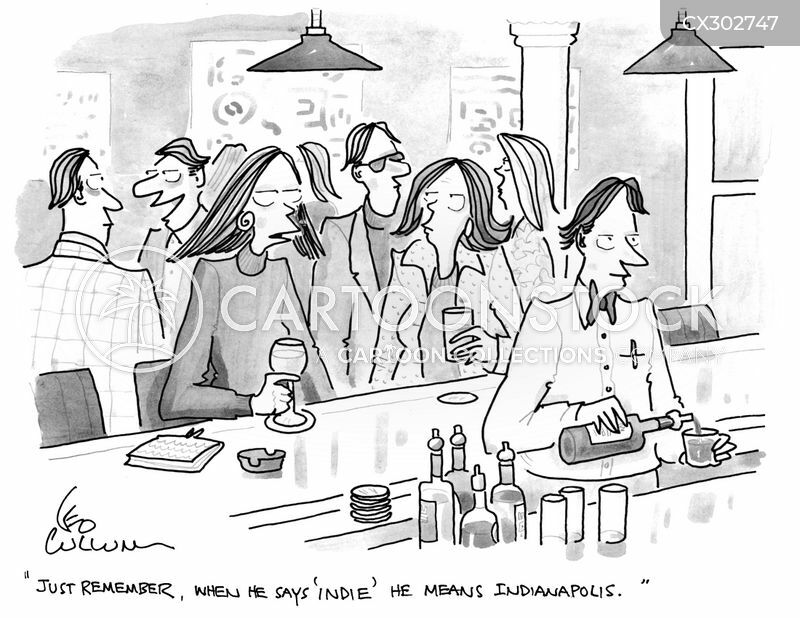 "Just remember, when he says 'indie' he means Indianapolis." 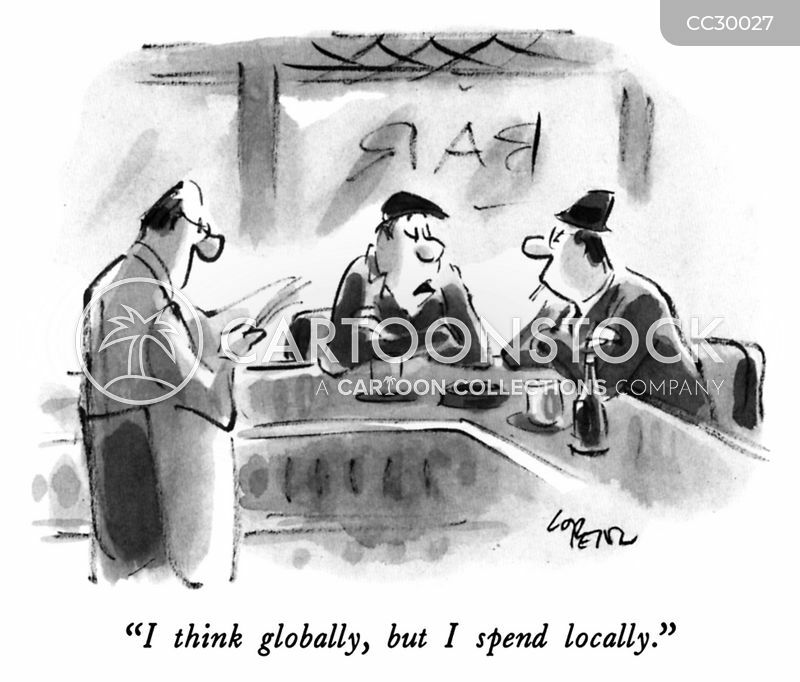 "I think globally, but I spend locally." 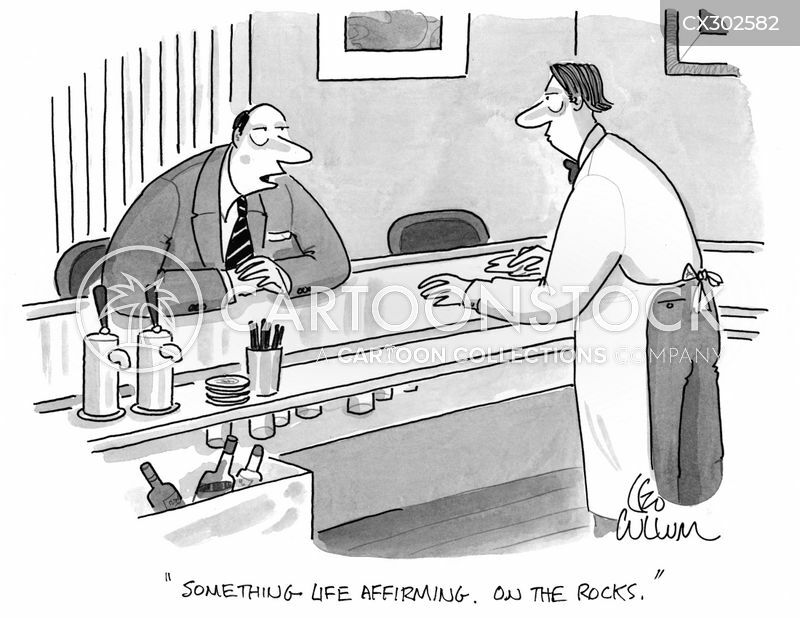 "Something life affirming. On the rocks."